Lancaster’s newest event spaces with unrivaled character and endless possibilities. Perfect for weddings, corporate events, showers and parties, fundraisers, mixers and more. Call to book a ballroom or meeting space 717-394-0900. An elegant, classic and timeless space. 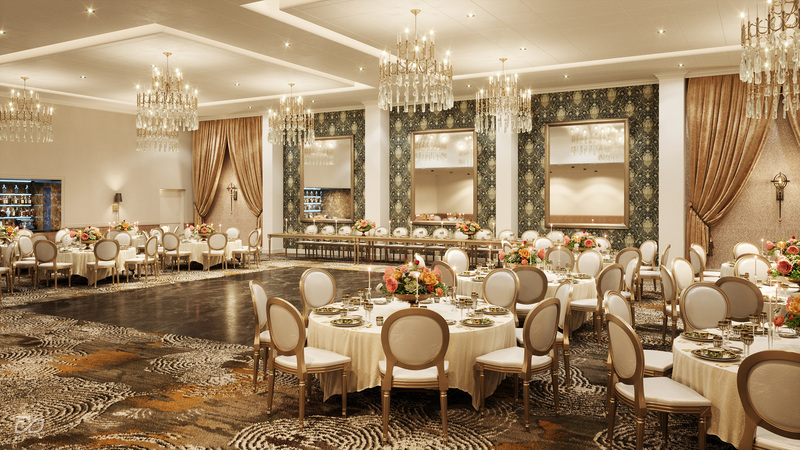 Guests will delight in Imperial Grande’s gracefulness, accented by floor to ceiling velvet curtains, gold framed mirrors, a black marble dance floor, King Louis chair seating and Italian Designer, Massimo Scolari, chandeliers. Features a built in bar, ample pre-function space and nearby bridal suite. 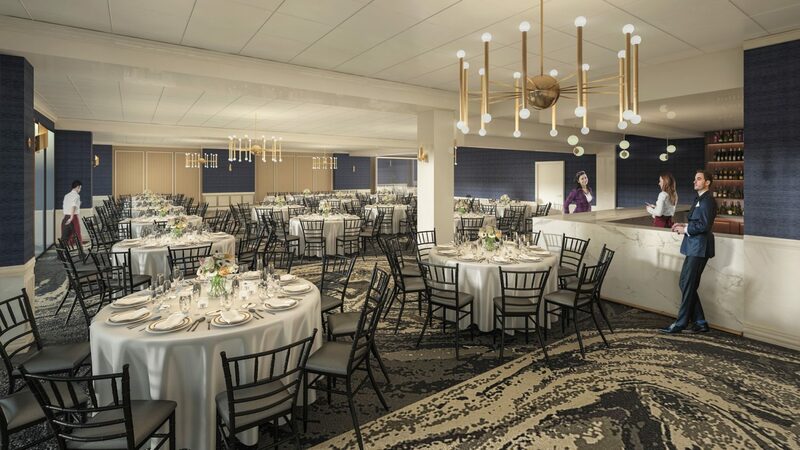 Stylish and polished, the Imperial Blue Ballroom delivers a fresh and modern aesthetic. A wall of windows provides natural light and unparallelled city views over Lancaster Square and Binn’s Park. The white marble dance floor and matching “waterfall” marble bar adds a touch of class to elevate the ambiance of any event. The ballroom is adjacent to large pre-function areas and nearby bridal suite to accommodate all facets of an event. The room opens up to a stunning outdoor deck, which can be used all year round. Imperial Suite is a contemporary space with hints of flair in creamy, taupe and gold tones. Perfectly sized for a variety of small to medium sized events. Adjacent to lounge and pre-function areas to handle before and after gatherings.